Compose two or more shaders together to create complex effects. ShaderFrog uses a parser and compiler to compose any shaders together. 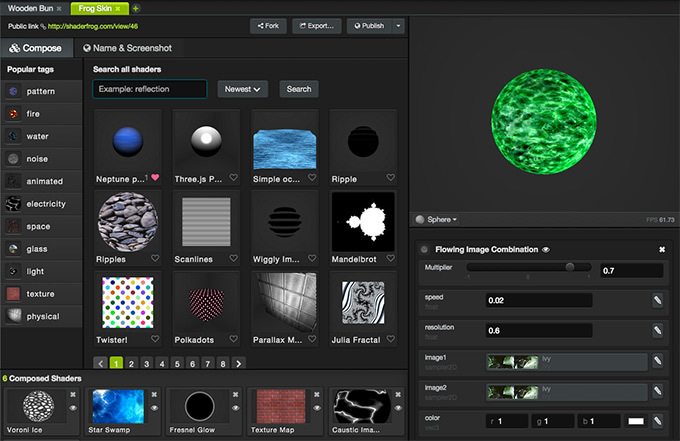 ShaderFrog targets Three.js, but has planned support for Unity, iOS, raw GLSL, and more! 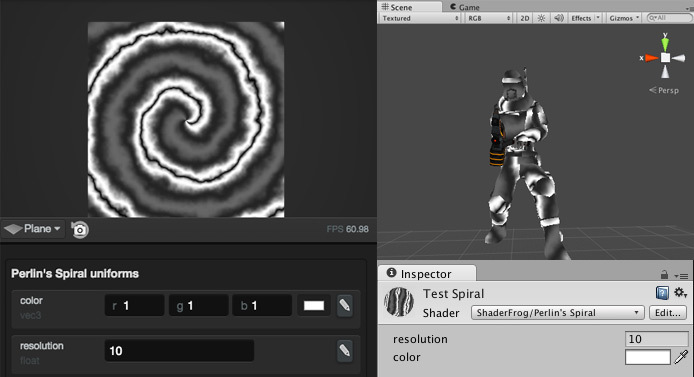 Compose shaders and tweak parameters to get the visual effect you want, without writing code! Favorite shaders you like, tag your own shaders to increase visiblity, add comments, and share shaders to engage your audience.